Posted on May 11, 2018 by MD Posted in Junior Schools . Posted on January 22, 2018 by MD Posted in Junior Schools . The Peace Field Project starts here. 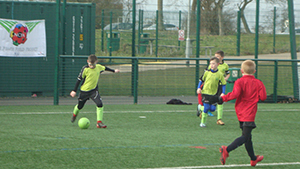 Organised by Forget Never – Sacrifice and Legacy, Project Manager, Bob Sheridan; The Peace Field Project (PFP) kicked off a series of events that will see Greensted Junior School twin their designated area of play with Flanders Peace Field, site of the 1914 First World War Christmas Truces. 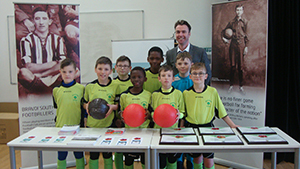 A PFP introduction to the Greensted Junior School pupils was presented by Ernie Brennan, CEO, The NCFA. Posted on January 22, 2018 by MD Posted in Schools .